Welcome to my Music Pages. As you can see on the top of this page I have made different pages for different periods in my musical life. Beginning is about my first encounter with music and the start of instrument playing. There is little music here of myself, because I have no recordings of that period. Playing accordion is the period from 1957 to 1972, the Connection period is also during that period, but started of course much later as you can see in the photos. During the Connection-period, named after the group I played in, I still played the accordion. The two television performances in 1972, after the breaking up of the Connection, were in fact my last performances. After that I started working with the NOS (Dutch Broadcasting Foundation). At work there was not much time to play music but sometimes I did and after a few years I played weekly with a few of my colleagues and several recordings were made during that time. Especially for a radio programm about the music of radio-engineers I played with different colleagues in different groups. I always played fender and synthesizer and arranged and/or composed. These recordings are present here. The SVEM-period was from 1982 - 1989. It was also at work and my specialities were in fact radio-plays and electronic music. SVEM stands for Studio for Verbosonics and Electronic Music. 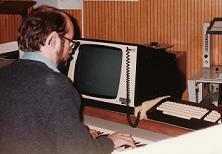 Centre of the studio was the CMI Fairlight IIx and from 1986 the Fairlight III. Of course we had more synthesizers (Roland, Korg, Yamaha) and the famous Linn-drums to make the music. 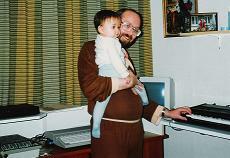 During and after the SVEM-period, I did some composing at home too. 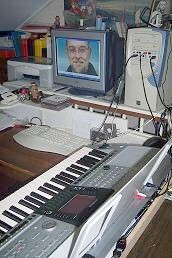 When I worked in the SVEM I sometimes started at home and took the MIDI-files with me to continue in the SVEM or what I started in the SVEM I took home to work on. When the SVEM closed in 1990 or 1991 (I already left) I continued some years at home. My compositions never came out of the demo-stage. In 1996 I did some work for the KRO, a broadcasting company, starting up a computer broadcast system from France, called Dalet. July 1997 I left the NOB and started working for the KRO, where I still work (2005). I did some music at home in 1996-1997, but then I stopped altogether and didn't touch an instrument untill 2004. So the next period starts in 2004. At home now I have a Yamaha PSR3000, an arranger keyboard, and besides just playing, I started composing again. My present work can be found on these pages. This will be a page that will be updated now and then..... unless my inspiration dries up!